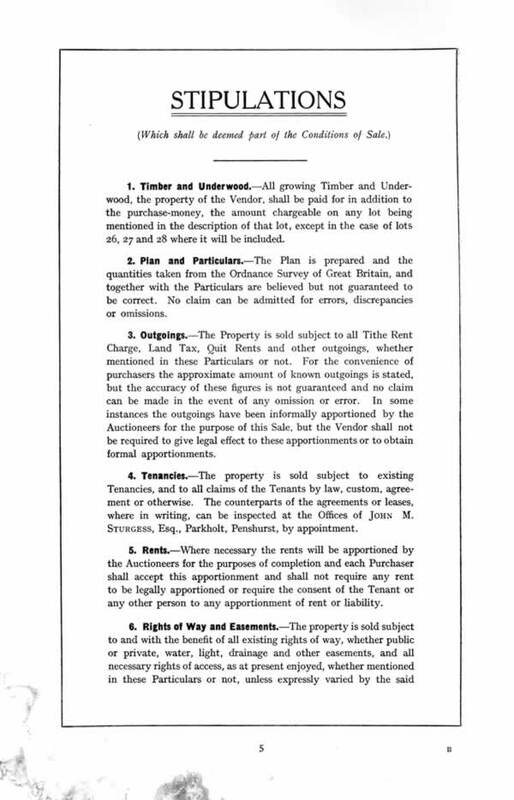 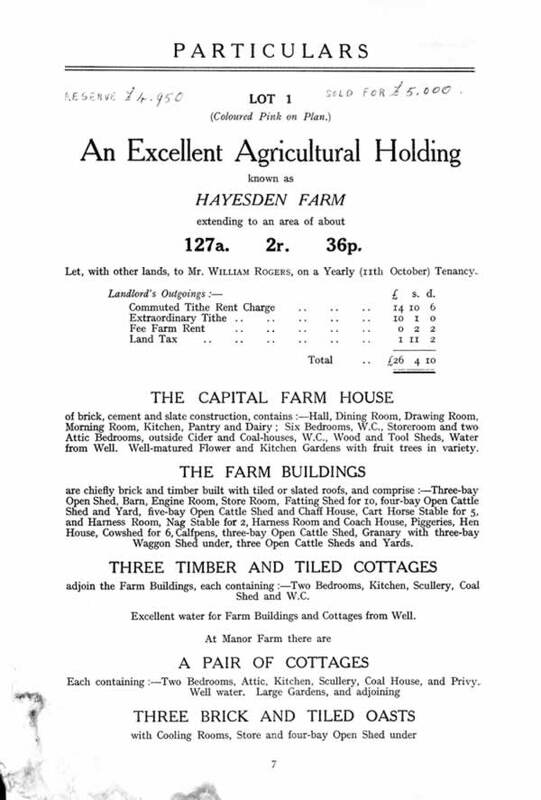 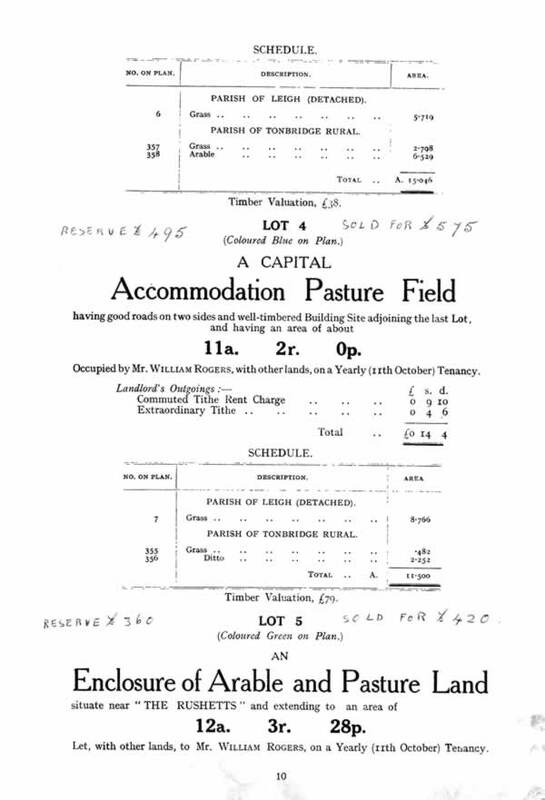 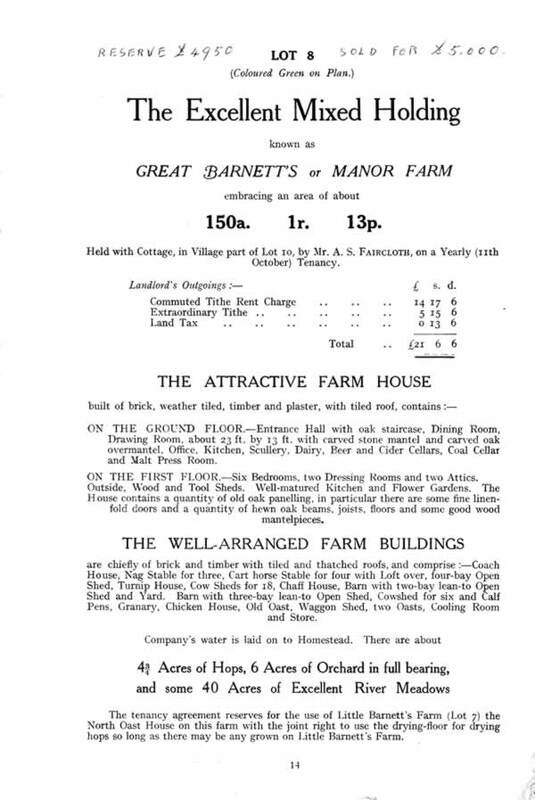 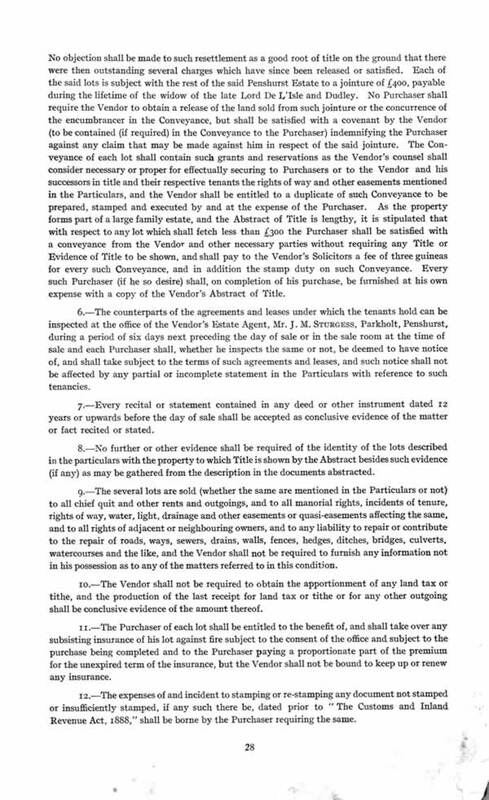 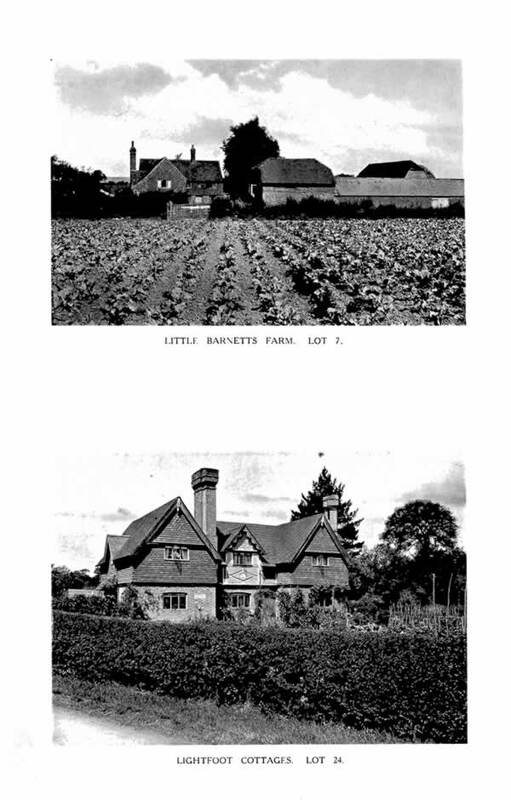 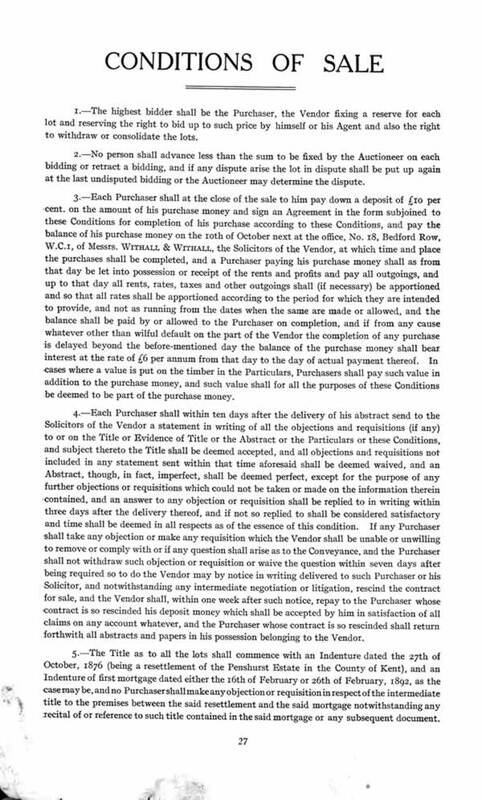 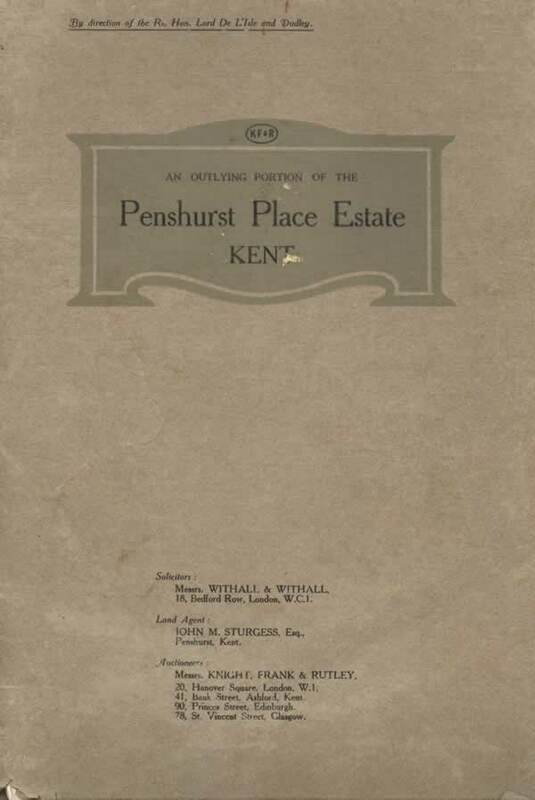 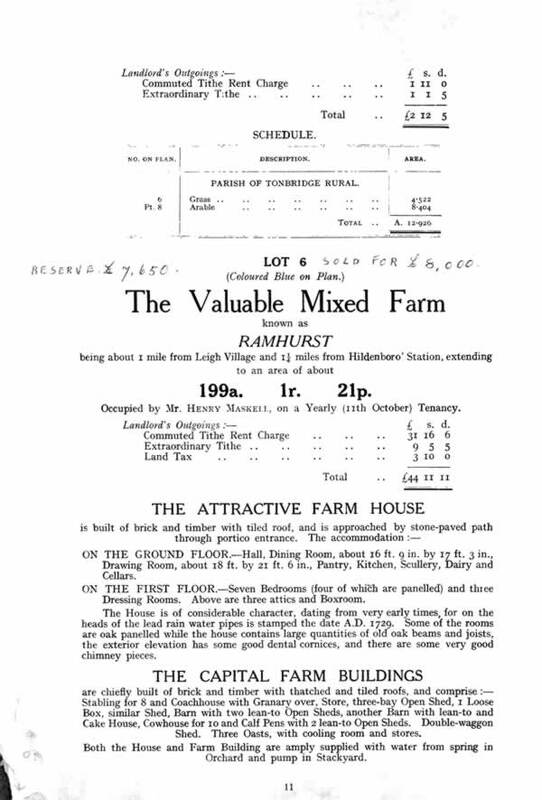 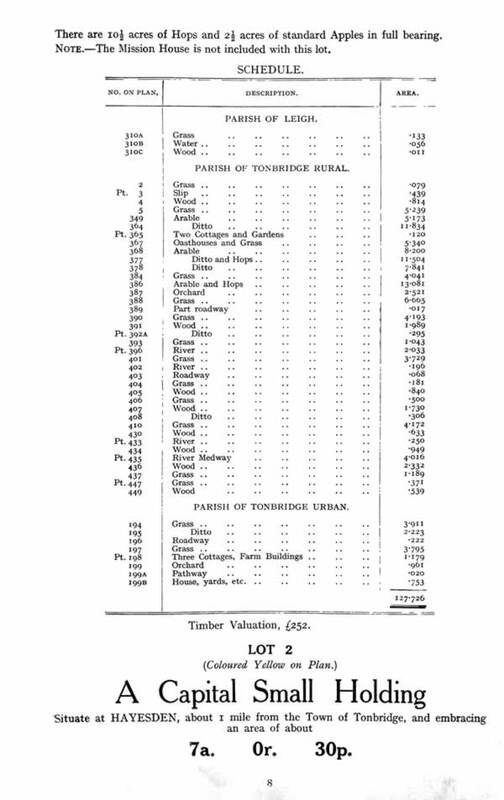 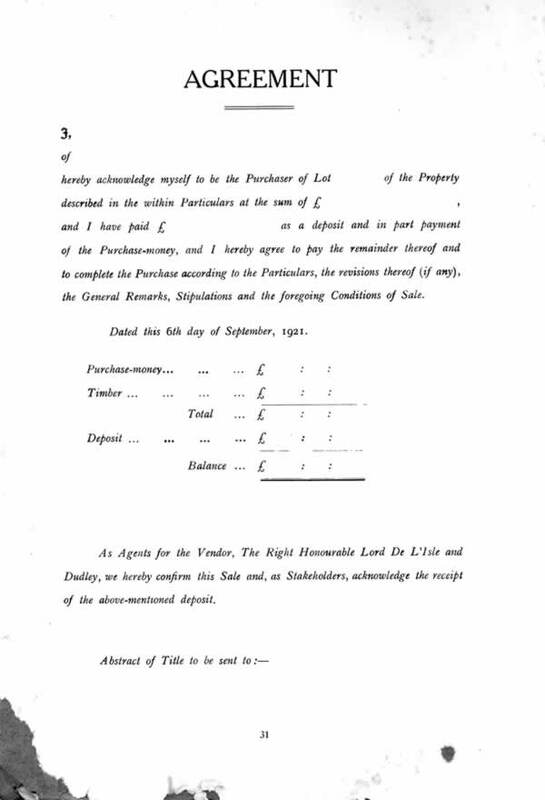 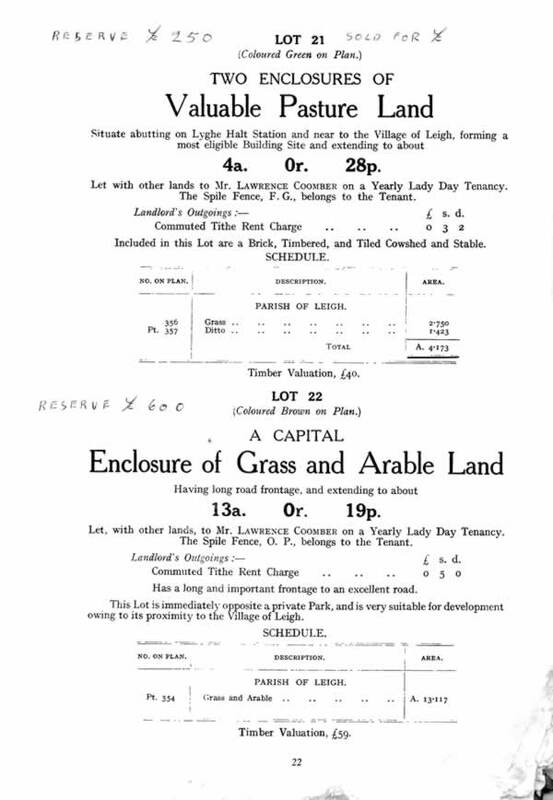 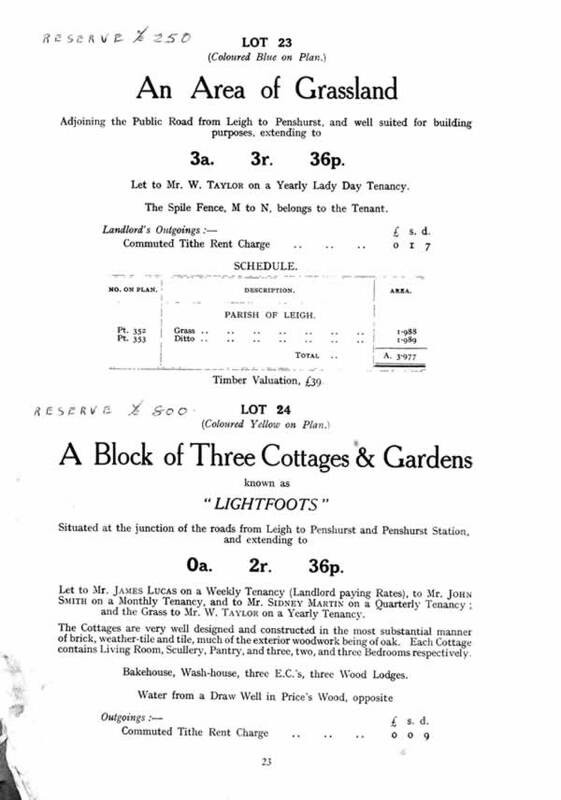 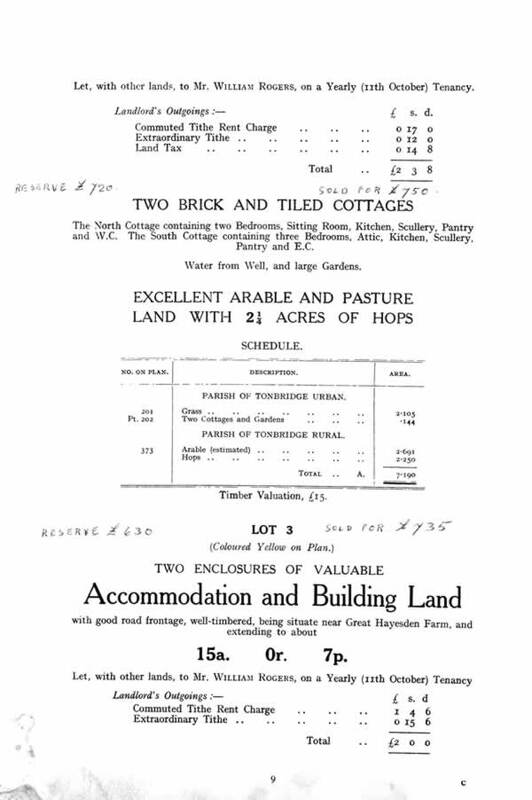 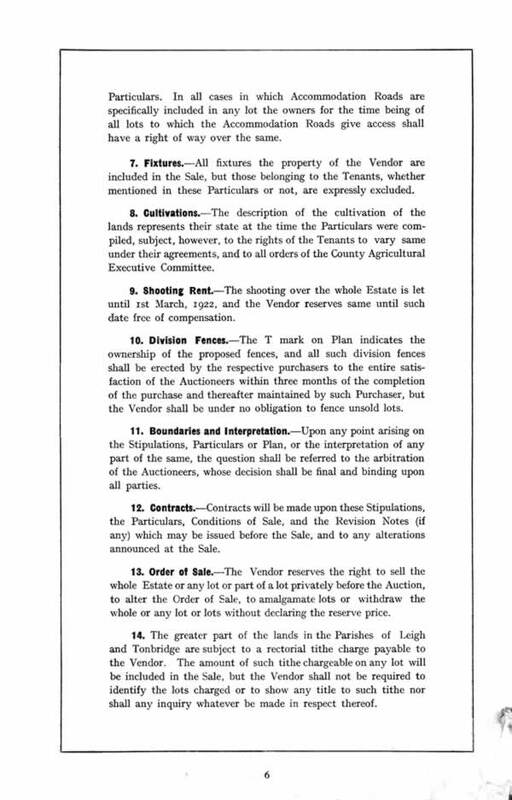 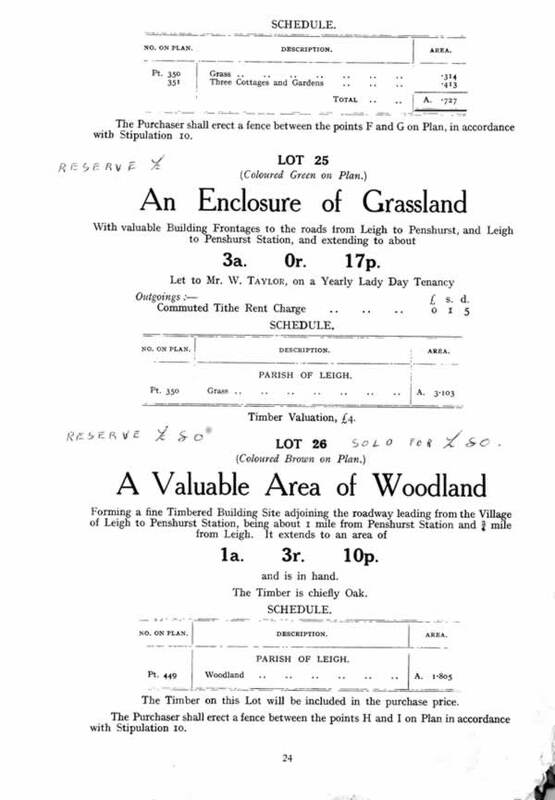 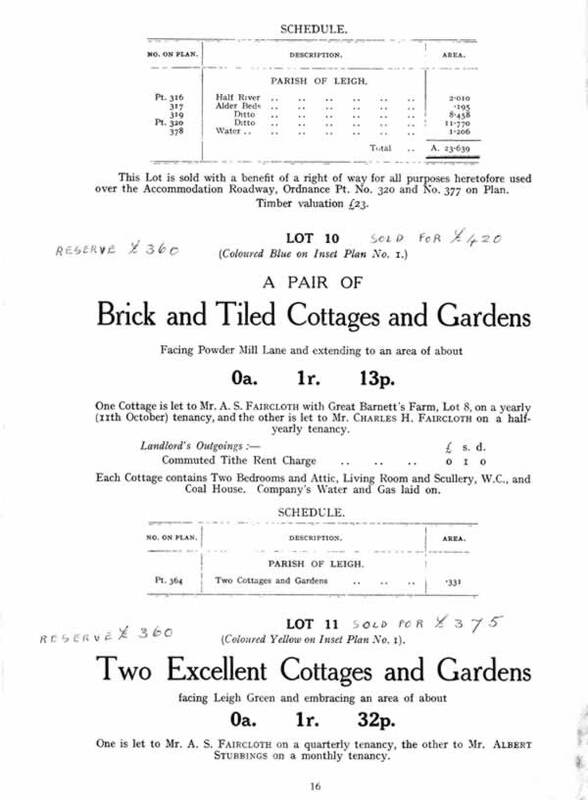 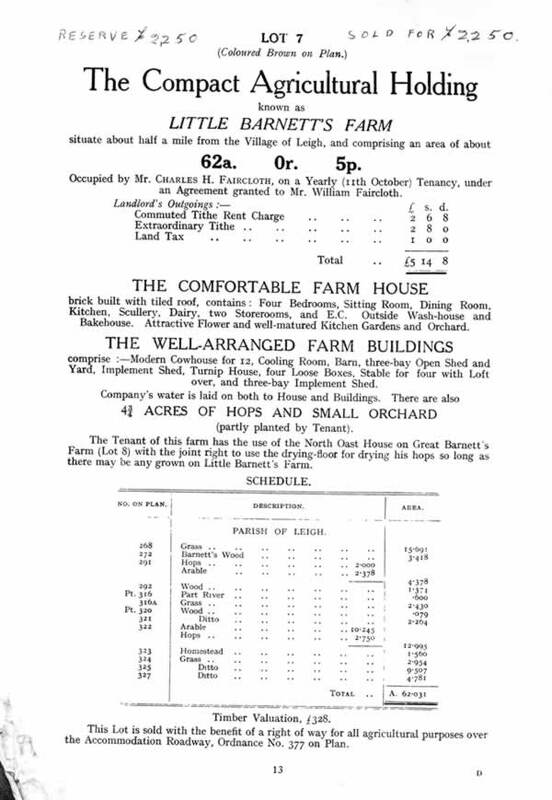 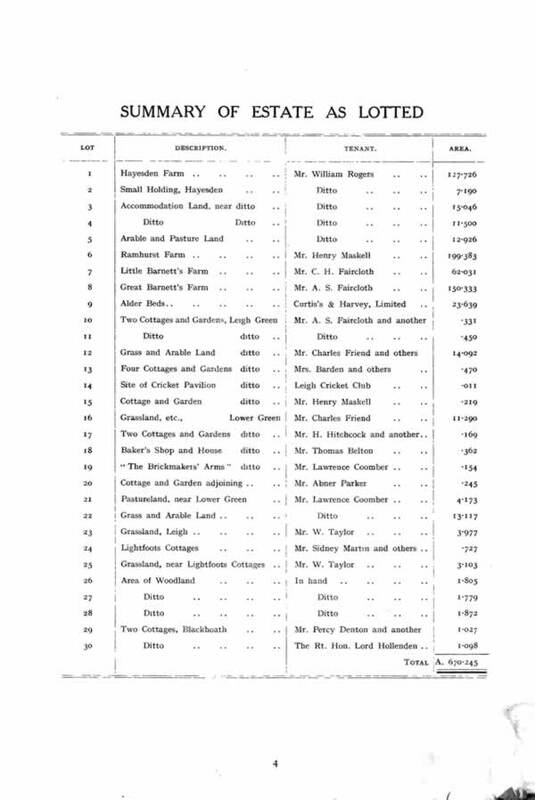 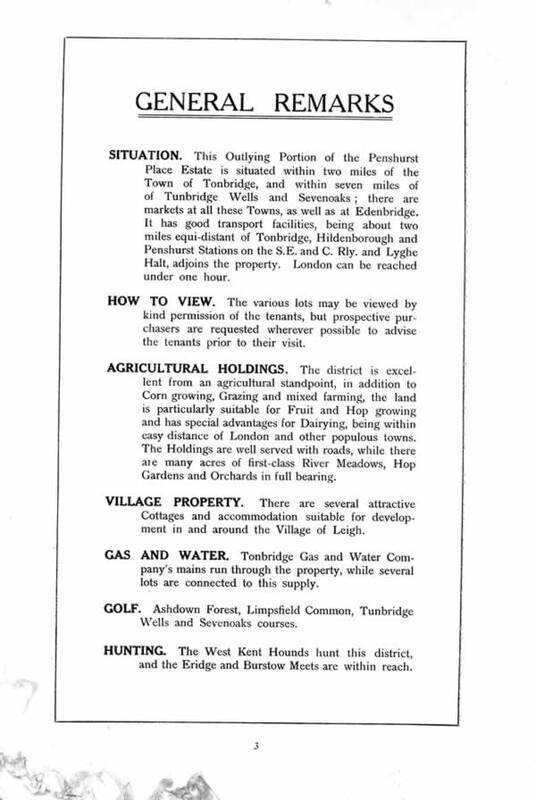 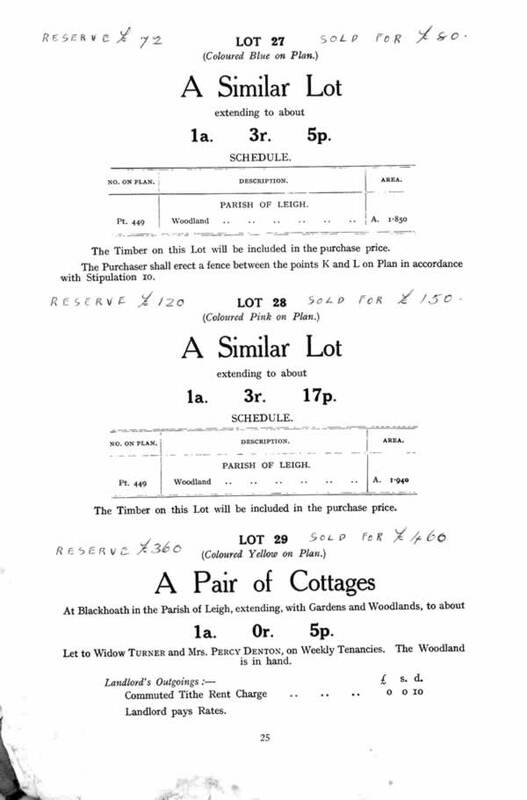 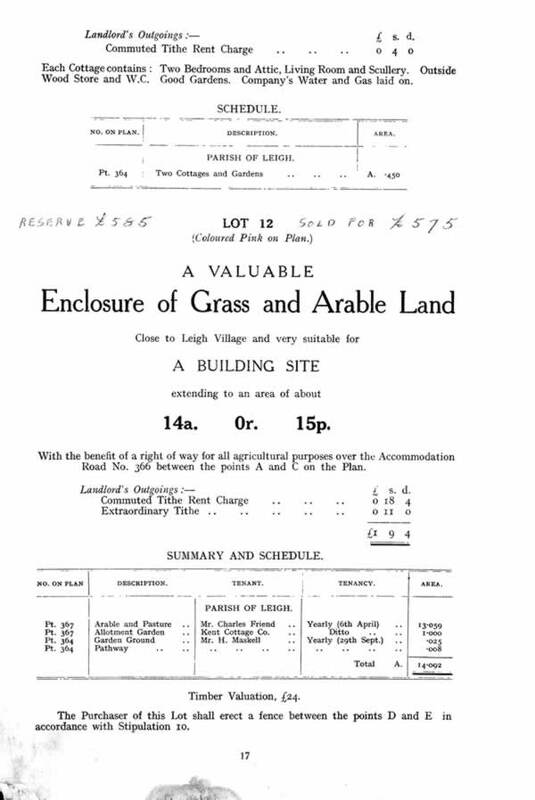 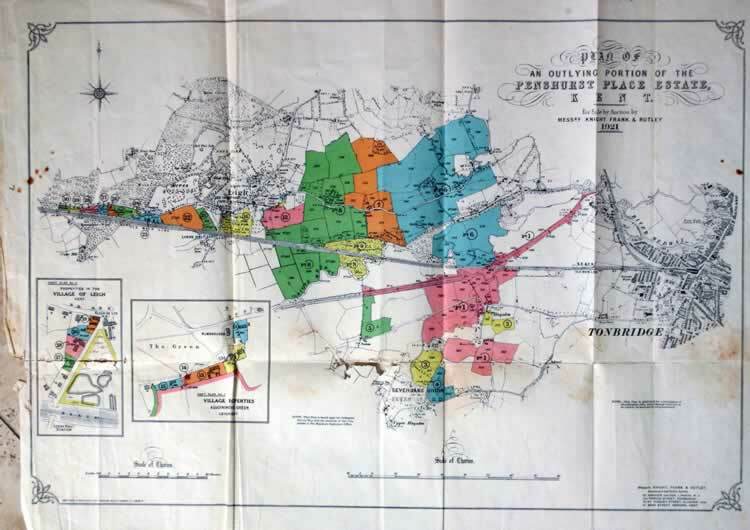 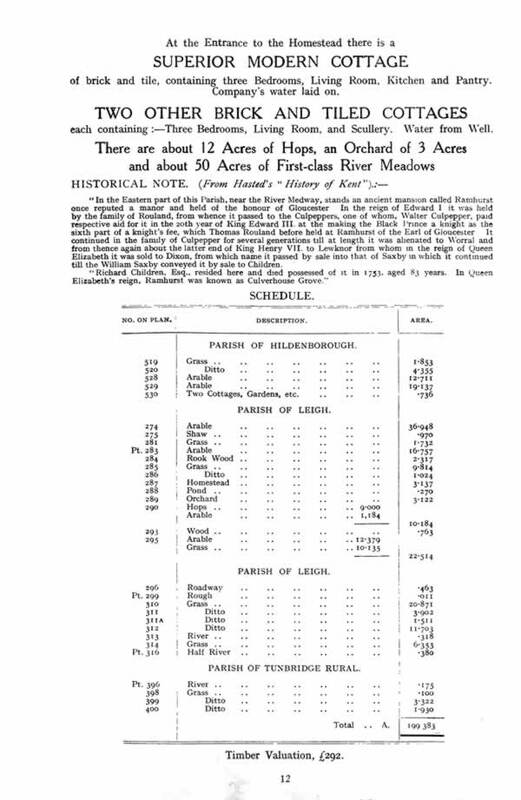 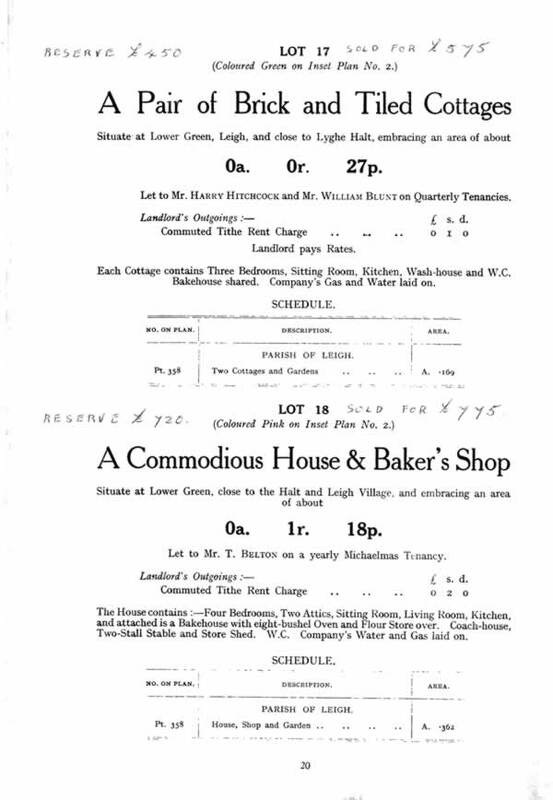 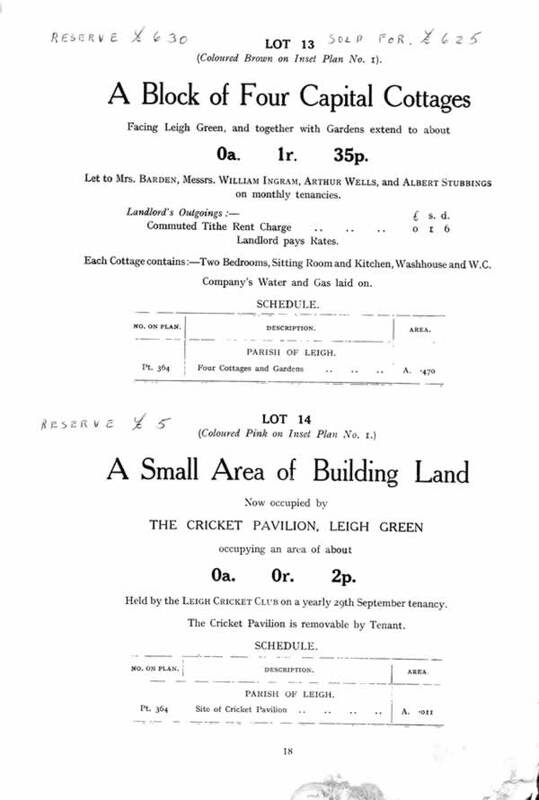 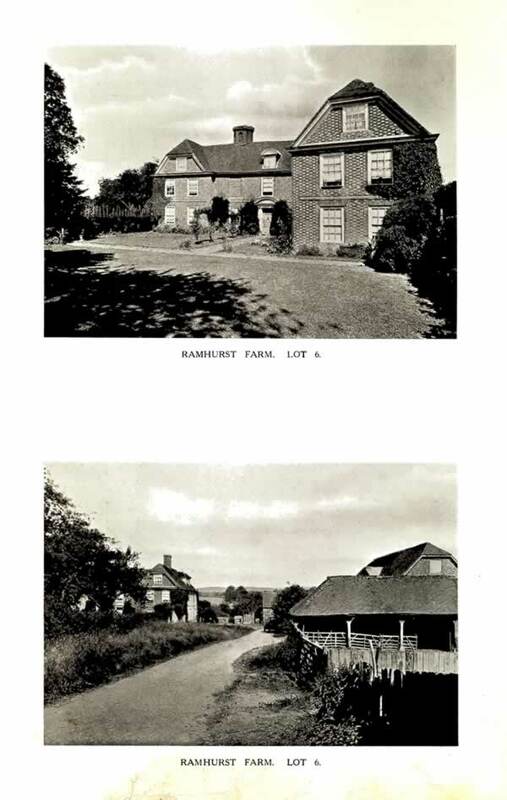 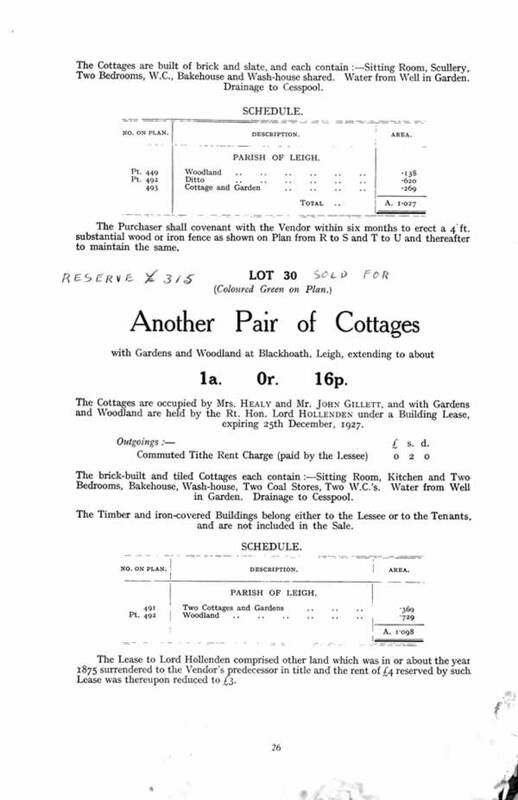 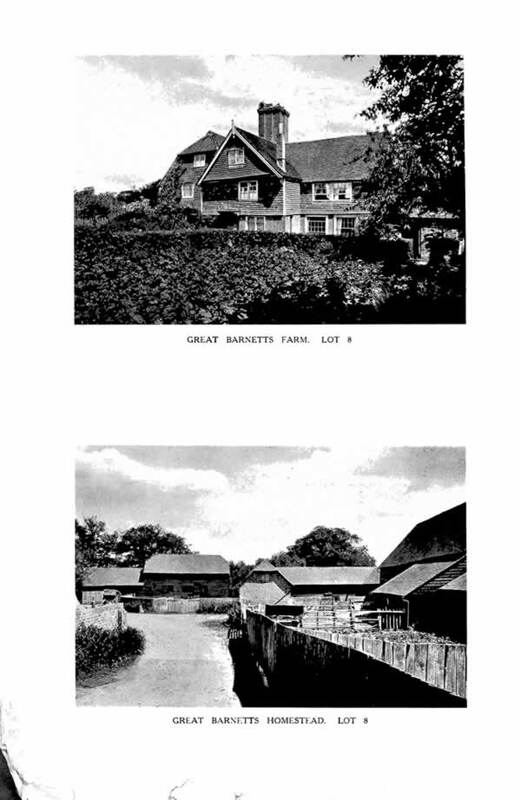 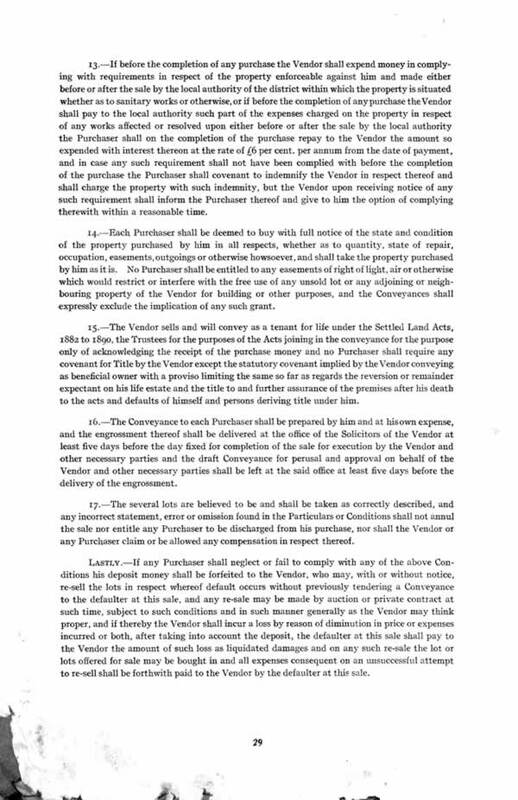 Illustrated particulars, plan, conditions of sale of an outlying portion of the Penshurst Place Estate. 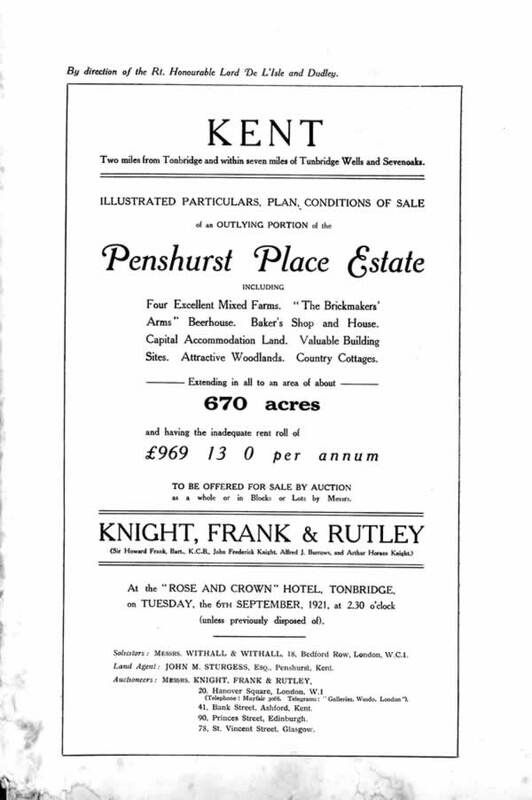 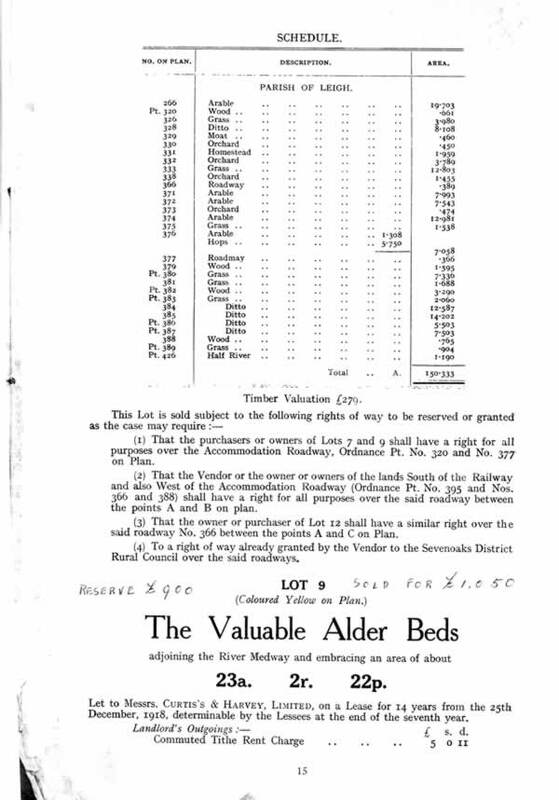 Sale at Rose and Crown Hotel, Tonbridge,6 September 1921 by the auctioneers Knight, Frank and Rutley (by direction of the Rt. 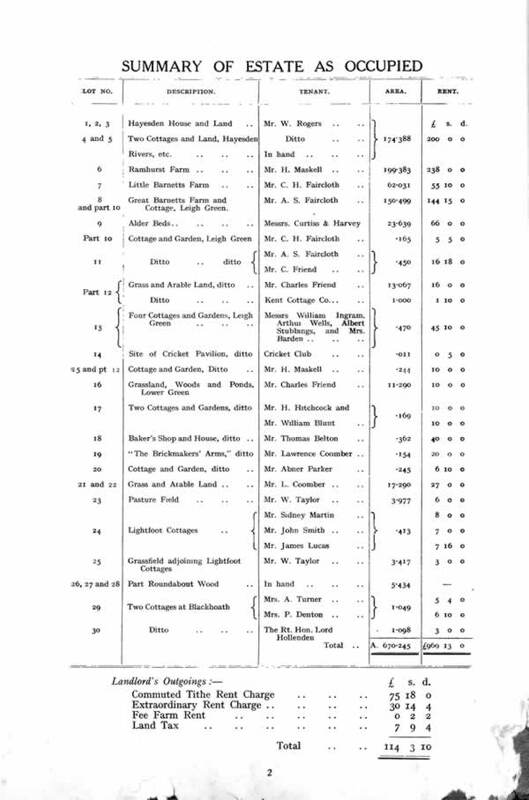 Honourable Lord De L’Isle and Dudley).